All Inclusive Monthly Rental- Sept - Feb 2012-Direct Oceanfront,1bd Condo!! 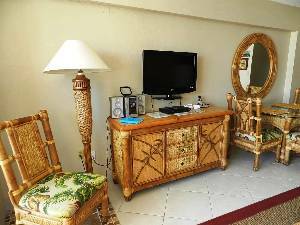 This is Unit 206 of the Hawaiian Inn Beach Resort. One of many units at the Hawaiian Inn offered by Sand Castle Beach Rentals. Go to my website: www....com I am very selective with the properties in my rental program. All of my owners our prideful of their properties, these are not just investment properties; they are personal vacation condos. All are furnished well above average. The owners have spent thousands of dollars to furnish and fill their condos with amenities, such as boogie boards, skim boards, beach chairs, umbrella, beach towels, beach toys, video games, etc., Units have beautifully integrated décor with muted, tasteful colors, a variety of decorative objects, well-framed art, and excellent quality furnishings, flooring and window coverings, all with a coordinated style that reflects today’s decorative trends. 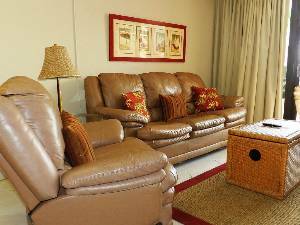 All elements of the condo are fresh, clean and well maintained. 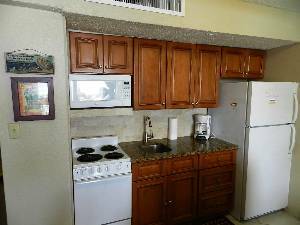 Go with a Sand Castle Beach Rentals vacation condo. You are worth it.Enjoy a beautiful ocean front views at the Hawaiian Inn Beach Resort Daytona Beach, FL. These condos are all direct oceanfront. Amenities include fully equiped kitchen, 2 cable TVs w/DVD/VCR, air conditioning, stereo CD player, metal detector,boogie boards,skim boards, playstation for the kids, linens, beach chairs & umbrella everything you could need. Daytona Beach is Great!!! Booking fast call or email today. I have several units available for rent at the Hawaiian Inn. Check out my website, "sandcastlebeachrentals" Each unit has an availability calendar. 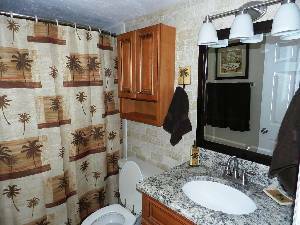 You will enjoy staying in a vacation rental provided by Sand Castle Beach Rentals and Mary Motes. 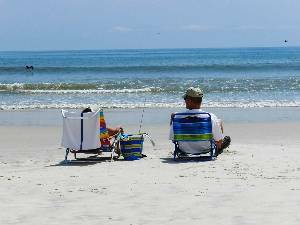 It's no wonder the Daytona Beach area is a leading tourist destination for families worldwide. Offering twenty-three miles of white sandy beaches, a water park, family attrations, entertainment, outdoor sports, shopping and dining. Daytona Beach offers the perfect vacation setting. It is home to the famous Daytona International Speedway, and if you want to find out what it's like to be a NASCAR driver. Daytona USA is an interactive attraction allowing you to experience racing and its history. If you prefer a taste of more history, the popular Ponce Inlet Lighthouse is over 100 years old and is a beautiful spot to watch the sunset. Fun, sun and adventure await you in Daytona Beach. Look at this view. Wonderful! 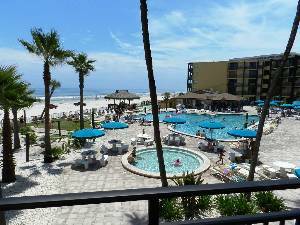 Planned a girlfriends' weekend at Daytona and contacted Sand Castle Rentals for information. Mary Motes was great. We decided on Room 206 at the Hawaiian Inn and it was absolutely perfect. Beautifully decorated, extremely clean and we had everything we needed from beach chairs, umbrellas and towels, to CD player, TVs and wine glasses. We met Mary during the weekend and she graciously showed us some of her other units -- all spotless and decorated to a "T." I'm going back with my husband and renting 515 with its beautiful furniture and bedroom with king-sized bed, plus a view to kill for. The pool and Tiki Bar were lots of fun. Everything was perfect! Thanks Mary for a memorable weekend with my friends. A good deal for a modest price. 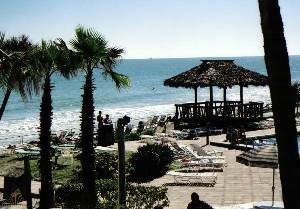 Oceanfront balcony, pool, tiki bar, friendly staff, cute, clean, comfortable and well equipped. Good location and lovely beach. A bargain! First off when you walk in I felt right at home this is a very homie place. I like it. I wish I could stay longer It is so pretty on the balcony. I had a lot of fun on the beach and in the heated pool. You'd think by the age of 16 I'd grow away from making Sand Castles with the toys that are here, but I couldn't resist it! The atmosphere her at the Hawaiian Inn ws very soothing and relaxing, espcially the music. We had a beautiful week of weather during the day and a few storms at night. Thank you so much for renting, it was almost like we were at home. Thanks again for letting us use your facilities. We had a nice time and weren't crowded at all. Hope to come back again! We had a blast....Renting was a great idea. Thank you so much for renting us this relaxing condo. we thoroughly enjoyed the Hawaiian Inn. Everything was great! We will be back. I had a wonderful stay here. I highly recommend it and would really enjoy staying there again. Marty is very nice and easy to do buisness with. My wife and I had the pleasure of staying at this condo for 2 weeks. It was lovely!!! It had all the comforts of home. I can't think of anything we would change. It was fabulous. Thanks Mary, we will be in contact for next year. 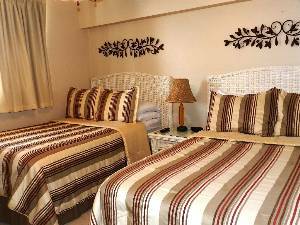 High Season - $700 per week - $109 per night. Low Season - $450 per week - $69 per night Special Event: Weekly Rates from $850 - $1400. (This includes Speed Week, Bike Week, Spring Break, Easter,biketoberfest and BCR) Please call for special event rates. Note: Until confirmed, rates are subject to change without notice. Deposit: $200 will hold unit balance due 30 days prior to check in date. Cancellations and Refunds: Will be refunded with 30 day notice.